Times change. Priorities change. And sometimes it happens on a year-to-year basis, especially where the NCAA Tournament selection process is concerned. Four years ago, it was a Colorado State team that seemed safely in the field that was startlingly left out. It was the start of a stretch in which the quantity of high-end victories — top-50, Quadrant 1, pick your nomenclature — was valued above all else. That, inherently, favored power-conference teams. Sunday brought a swing back in the other direction. It’s not necessarily good or bad, though the inclusion of a quality team such as Belmont will surely be celebrated ad nauseam by self-appointed Protectors of the Little Guy, which does grow every bit as tiresome as people stumping for the mediocre power-conference team of their choice. Those impressive wins piled up by Indiana didn’t mean so much. Ditto for .500 Texas, which, let’s face it, didn’t belong in the field. As for the top of the field, the teams selected as No. 1 seeds seem about right. Want to make the case for Michigan State, Kentucky or Tennessee over North Carolina or Gonzaga? Go ahead. It looked like a pretty clear-cut top eight heading into the selection show, and sure enough all eight populate the No. 1 and No. 2 lines. Just as in 2015, when Colorado State’s exclusion presaged miserable Selection Sundays for St. Bonaventure (2016) and Saint Mary’s (2018), maybe this year’s field is a sign of hope for future mid-major league champs. The Bruins of Belmont are off to Dayton as one of 68 teams still vying for the national title. Savoring that is a priority that never changes, even as the years roll by. Look at the Owls’ profile, and this is a bit of a puzzler. They’re 23-9 and did knock off Houston and Central Florida at home, but they didn’t have any other particularly noteworthy wins. Could it have been a deep dive into Temple’s results? The Owls only suffered one loss by more than 10 points (an 18-point defeat at Tulsa on Feb. 9). Overall, though, there were better profiles to choose from. This was a throwback selection, the kind of thing the committee did in 2011 (VCU), 2012 (Iona) and 2013 (Middle Tennessee) but hadn’t been in the habit of doing lately: granting clemency to regular-season champions of conferences that usually end up with a single bid. The argument for the Bruins (26-5) is they won at Murray State, swept Atlantic Sun regular-season co-champ Lipscomb and claimed a high-major road game (at UCLA, which had such a disappointing season that it fired Steve Alford before Pac-12 play even started). That probably wouldn’t have been enough in the past few years. It was in 2019. SNUB: Indiana’s high-end victories didn’t matter a whole lot. If the committee followed its pattern of rewarding teams with copious numbers of high-end victories, Indiana was going to be in the field. The Hoosiers swept Michigan State and upended Louisville, Marquette and Wisconsin. That adds up to five victories over teams that earned a No. 7 seed or better. Indiana was also 17-15 and at one point dropped 12 of 13, so it wasn’t a typical candidate for one of the last few spots in the field. Consider this a reminder that the committee’s composition does shift, and sometimes what happened before isn’t a road map for what will occur in the future. SNUB: Conference tournament runs were only rewarded so much. Iowa State? A No. 6 seed despite winning the Big 12 Tournament. Seton Hall? A No. 10 seed even after toppling Marquette on a neutral floor to get to the Big East final. Michigan State? Its Big Ten Tournament run didn’t get it off the No. 2 line. Cincinnati? An upset of Houston in the American Athletic Tournament final didn’t seem to mean much to the seventh-seeded Bearcats. In fairness, two of those teams — Cincinnati and Michigan State — played midafternoon games Sunday, and there may not have been time for contingency brackets. But there were enough cases of the reverse being true — Purdue, LSU, Texas Tech and Marquette lost fairly early in their tournaments, but there was no obvious impact on their seeding. SURPRISE: Seeding for Utah State and VCU. Call this a pleasant surprise. Mountain West champion Utah State landed as a No. 8 seed, safely inside the field after it appeared that the Aggies were far from a sure thing coming into the week. That perception was clearly incorrect. VCU, the Atlantic 10 regular season champion, didn’t appear to get dinged much for its loss to Rhode Island in the conference quarterfinals. Before then, the Rams had won 12 in a row and established themselves as an elite defensive team. SNUB: TCU’s bland resume didn’t get the job done. The Horned Frogs (20-13) had a sweep of Iowa State, home wins over Florida and Baylor and ... not a whole lot else working in their favor. On the flip side, TCU really didn’t do anything wrong. In short, the Horned Frogs possessed exactly the sort of profile expected of a team sent to Dayton. Except this year, it didn’t work out. NEITHER SURPRISE NOR SNUB: St. John’s plays on. Maybe the weirdest team in a weird year, the Red Storm (21-12) landed one of the final four slots in the field, presumably on the basis of a regular-season sweep of Marquette, a home defeat of Villanova and a neutral-floor triumph over VCU. Advanced metrics were not kind to St. John’s, but it went 10-10 against the top two quadrants. That probably made the difference for Arizona State (11-6 against the top two quadrants) as well. SNUB: N.C. State was the latest team to be done in by a horrible nonconference schedule. A favored stat — no team since 2006 with a nonconference strength of schedule of 250th or worse had earned an at-large berth as a double-digit seed — actually died Sunday. Iowa (No. 302 entering Sunday) landed a No. 10 seed. N.C. State, with the nation’s worst nonconference strength of schedule, wasn’t so fortunate. It’s one of the most enduring messages from the committee over the years: Challenge yourself outside the league. The easiest way to do that isn’t to play good teams; it’s by avoiding terrible teams. N.C. State (22-11) played six teams in the bottom 50 of the NET, and many of them were easy to peg as dead weight even before this strange season began. The Wolfpack joins 2009 South Carolina, 2010 Virginia Tech, 2014 SMU and others as teams to learn this lesson in harsh fashion. SNUB: The HBCU conferences get shafted even worse than a year ago. 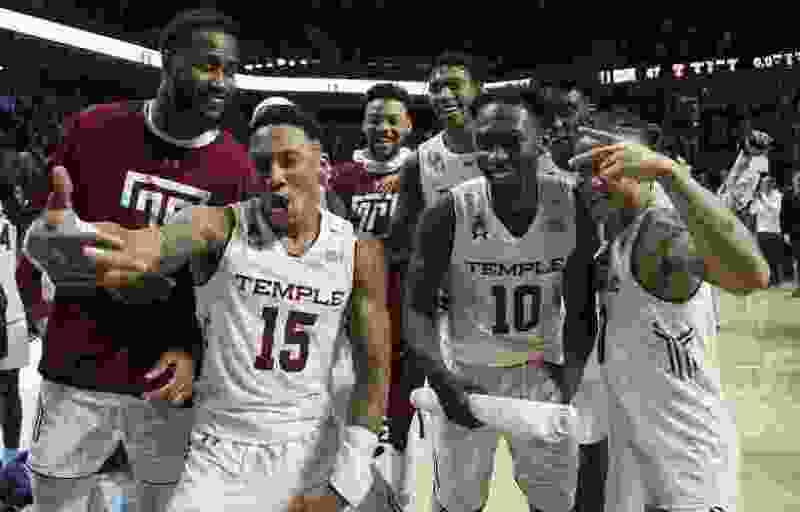 In 2018, Mid-Eastern Athletic Conference champion N.C. Central and Southwest Athletic Conference winner Texas Southern were paired together in Dayton, the first time both representatives of the two conferences composed of historically black colleges and universities were sent to the play-in round. At least then, one was guaranteed to make it to the round of 64 - and one of the leagues was assured an NCAA Tournament unit for picking up a victory. This time, N.C. Central and Prairie View got shipped to Dayton, but because they’re in different games, neither is assured a place in the round of 64. There was an obvious upside on Selection Sunday last year. This time? Not so much.